shekco Back Cover for Xolo Era 2  See all offers for this product. 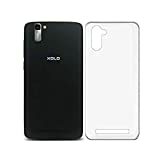 M.G.R.J Tempered Glass + Transparent Back Cover [Combo Pack] for Xolo ERA 2V  See all offers for this product. Xolo Era 2 (Blue)  See all offers for this product.